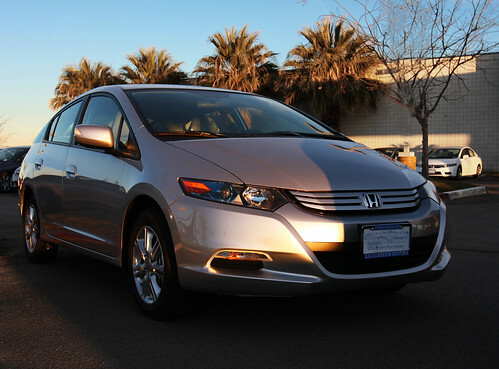 The Honda Insight was first introduced over a decade ago and in 2010 the second generation of Insights was introduced. The Insight is an excellent example of how a hybrid car can work at its best. The first Insights were small, lightweight two-seater vehicles with small high-efficiency petrol engines engine. 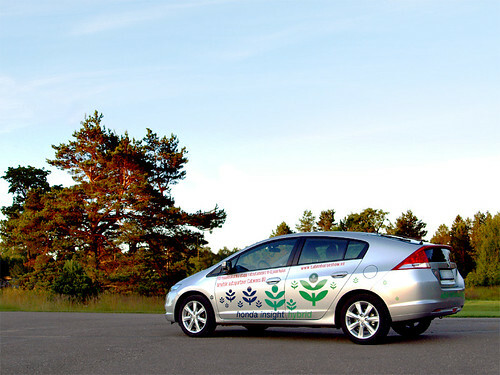 The Insight was given the U.S. EPAs (Environmental Protection Agency) best mileage ratings of any hybrid car on the market. The car has an electric motor coupled to the engine at the point where the flywheel usually goes. 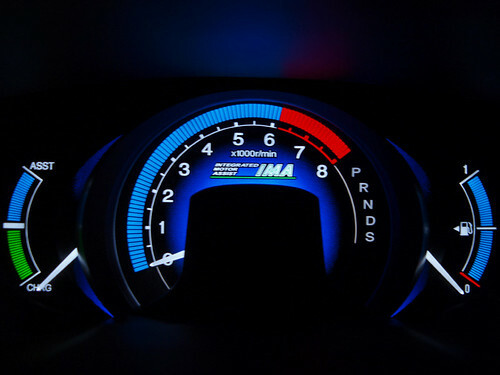 This system is called “Integrated Motor Assist” by Honda. The electric motor on the Insight helps out the petrol engine, providing extra power while the car is accelerating or climbing a hill, and providing some regenerative braking to capture energy during braking. It also starts the engine, so the car doesnt need a starter motor. To achieve the excellent miles per gallon performance it achieves, the Insight is very lightweight, which allows a smaller engine to match the performance of much larger engined cars. The small, efficient engine incorporates Honda’s VTEC technology and also uses lean burn technology to maximize efficiency. And the car also uses highly advanced aerodynamics as the icing on the cake. The latest version of the Insight was specifically designed to make hybrid technology more affordable to a wide range of family buyers. In a complete change from its predecessor, the 2010 version has five seats, five doors and it includes the fifth generation of Hondas Integrated Motor Assist (IMA) hybrid powertrain. The new Honda Insight has genuine claims to be the best family car available for families choosing the hybrid option.